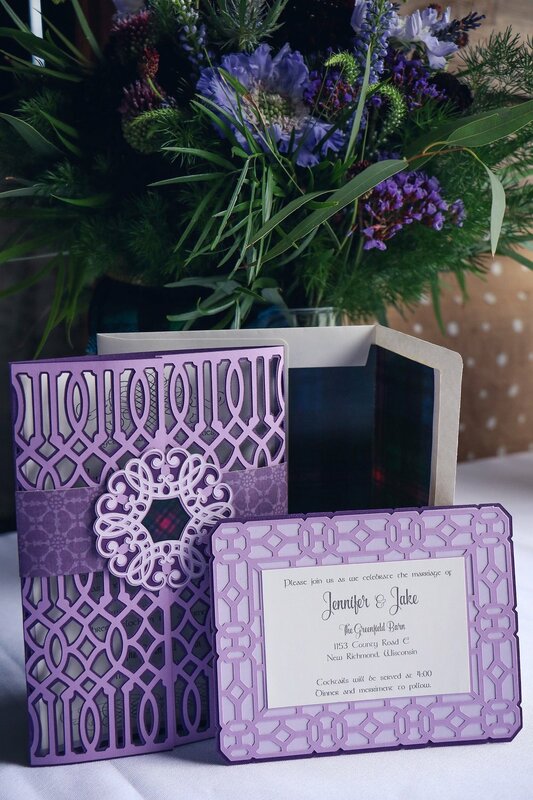 The possibilities for your invitations are endless, and can incorporate your colors, interests, or a theme that you have chosen for your day. 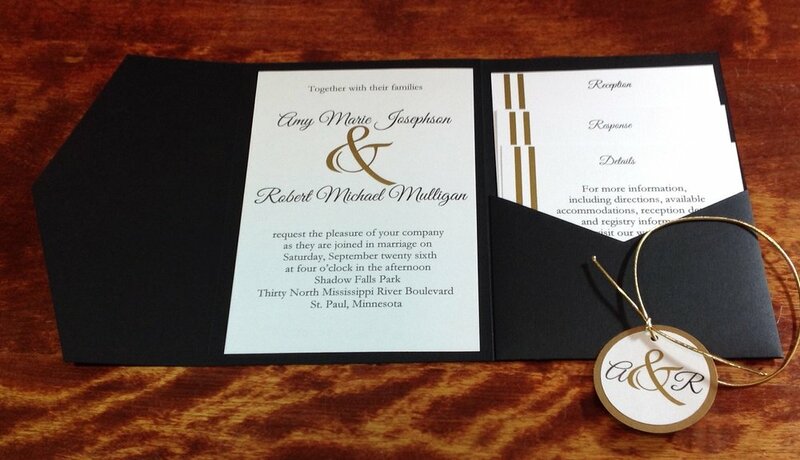 The samples I have included show some of the shapes, styles and embellishments that are possible for your design. 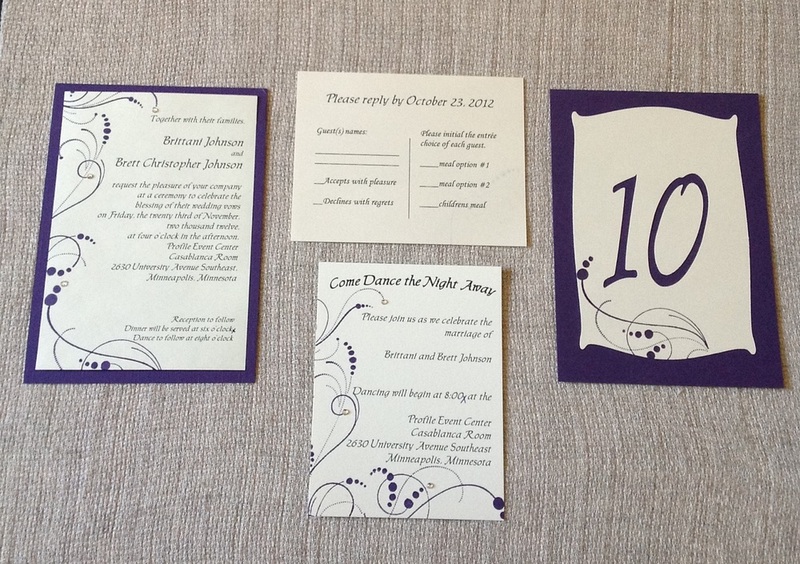 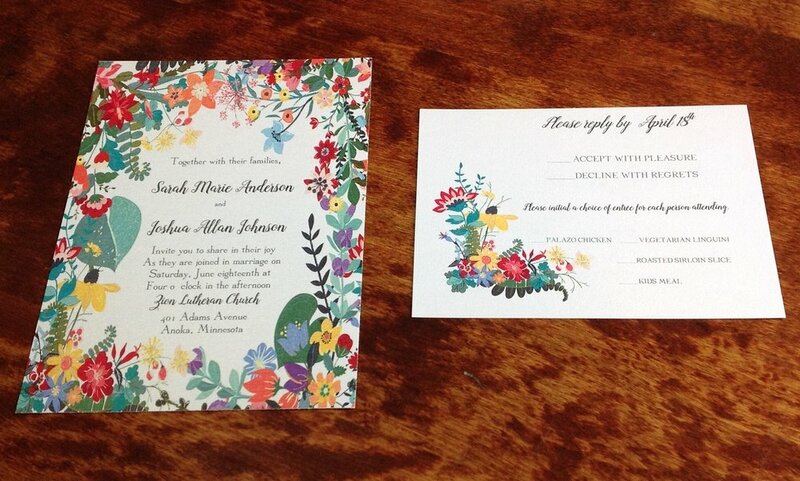 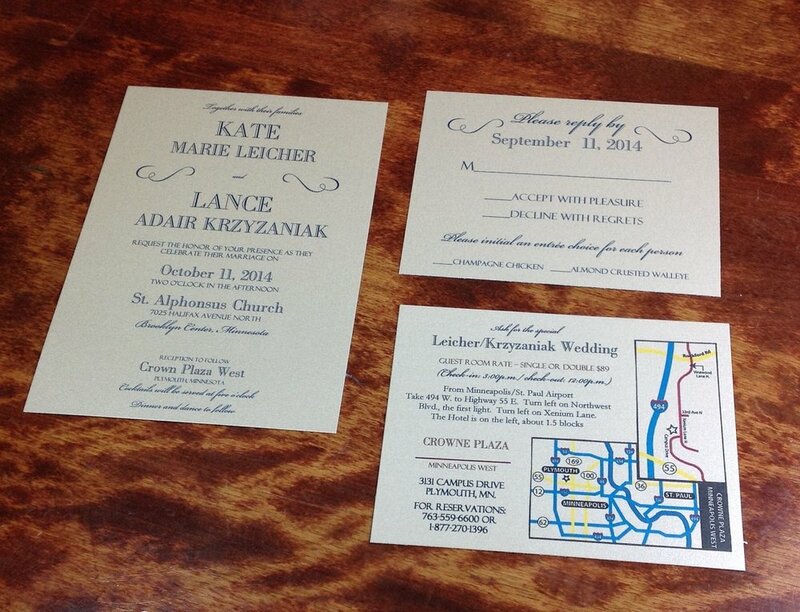 I would love to design an invitation that will give your guests a glimpse of what your day will bring.